Hotel Leopoldo Castiglioncello, Hotel Italy. Limited Time Offer! Hotel Leopoldo. "Hotel Leopoldo" is a hotel that has received 3 stars. 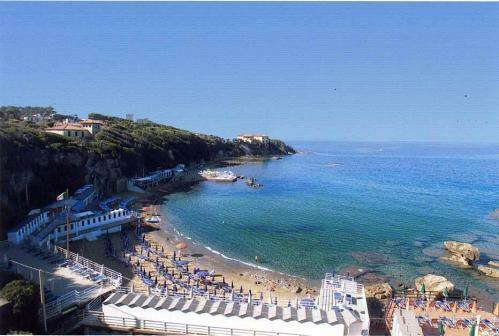 This hotel is situated in Castiglioncello. It is even possible to enjoy the coast, which is near the hotel. To help you visit the surrounding area, there is a shuttle service. There are 30 rooms to choose from. Thanks to the air conditioning, it is never too hot inside. Breathe some air in the private garden. For visitors who appreciate participating in some sporting activities, the hotel offers tennis, kayaking and sailing. Dinner can be enjoyed in the comfort of the accommodation as there is an onsite restaurant. After dinner, guests can have a drink at the lounge bar. After a good night's rest, you have the opportunity to have breakfast, which is included in the price. You can connect to the Internet free of charge. Hotel Leopoldo is set in a classic Tuscan villa built in the early 20th century, situated in the pine wood of Castiglioncello, also known as the Pearl of the Tyrrenian Sea.